Tissavel Vintage v Talitha at MyTheresa and Happy Christmas too!! 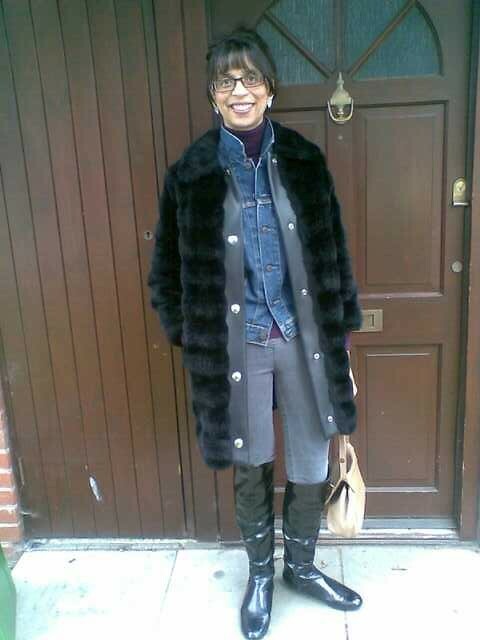 This is me wearing my version last winter and I'll certainly be wearing it again this season too. What I like about both coats are they are perfect day to night coats as by evening they will go so well with a LBD underneath. This will most probably be my last post of 2011-my laptop is currently being repaired so service is more intermittent than usual!! I will endeavour to read and try and leave comments for all of you lovely bloggers over the festive season though. In the meantime, wishing you all a Very Merry Christmas, a Happy New Year and a very Thrifty and Stylish 2012-however you will be wearing it, have a fabulous one!!! 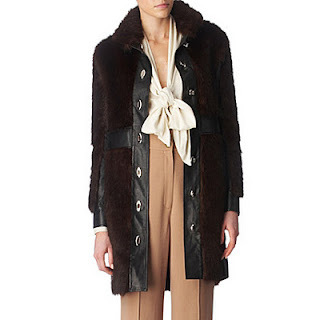 That vintage version of the black coat from Rachel Zoe is really a true copy of what I remember women wearing back in the 70s. Those coats were extremely popular. Your coat is chic and suite you very well. So sorry to hear your laptop is ill - it can be frustrating when you're using it actively. Still, looking forward to reading more from you in 2012 and hope you also have a fantastic Christmas & New Year. Needless to say, I much prefer yours!!!! Love your whole outfit. Your is far nicer. I have a similar one and it attracts small children like a magnet - every time I enter the playground to pick the boys up I am accosted by kids rubbing their snotty faces all over it! I'd have yours any day. Looks lush and warm too. really a great vintage alternative, almost identical - how lovely! wishing you a merry little christmas, too! Yours is a lovely coat and I like it better than the expensive one! Oh and Merry Christmas Sharon! Did you finish today? We did and I thought I saw lots of the senior school kids out early! I love your coat. I have one that I bought in a charity shop and it is so cosy for this time of year. In fact I wore it out last night for a blogger Christmas party. Have a lovely Christmas. Of course, I prefer your vintage version than the pricey Rachel Zoe one. Have a happy, healthy and fun Christmas and New Year. Thank you so much for all your lovely comments and support and for taking the time to establish a blogger friendship with me. Lovelier than ever! Wishing you a wonderful holiday!! Love your coat Sharon! I hope you are enjoying a wonderful holiday with your friends and family.